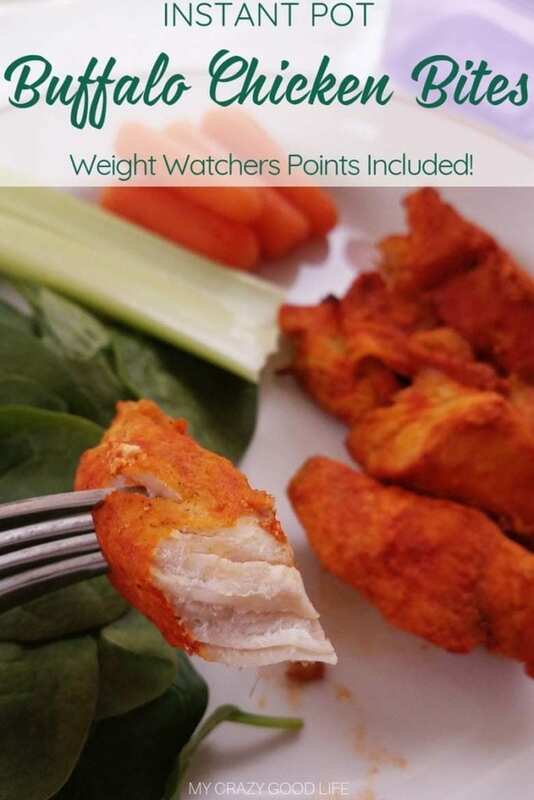 Making Weight Watchers buffalo chicken wings at home is a much healthier and cheaper option than eating out. 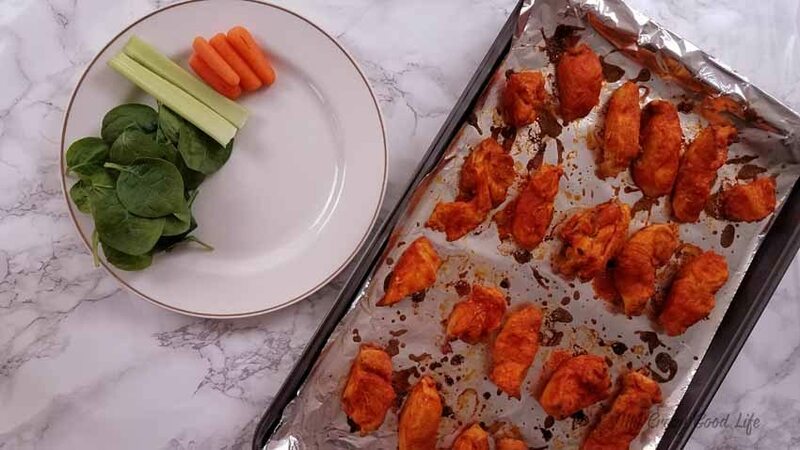 The great thing about this recipe is that the whole family will love it without even knowing they’re having something healthy! 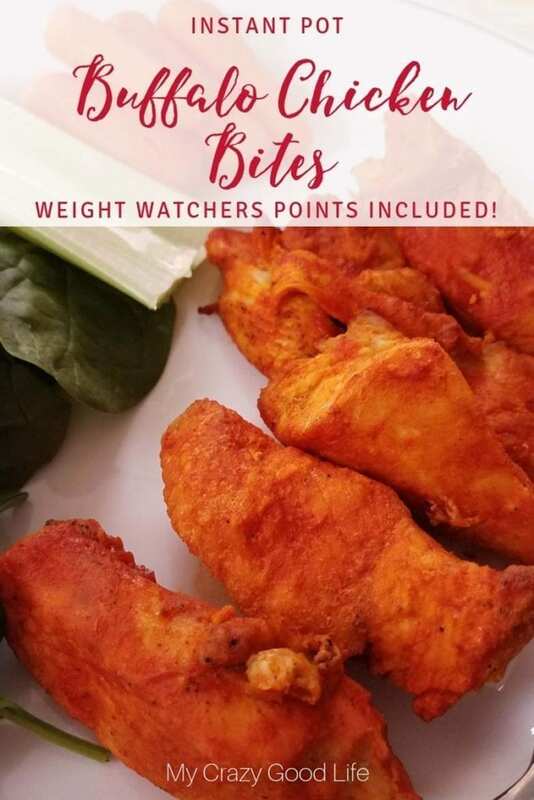 While I love making these for parties, they make a great appetizer, I also like making them for snacks throughout the week. 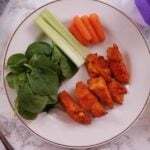 When I meal prep I like to have some high protein options like hard boiled eggs and these Weight Watchers buffalo chicken wings on hand! 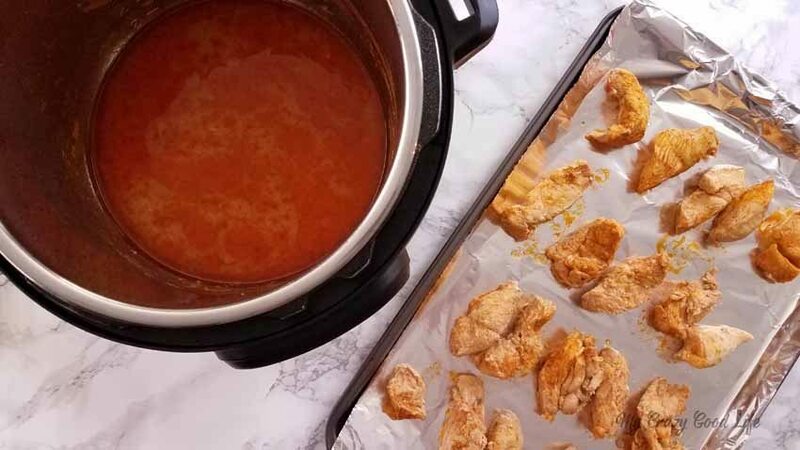 I’ve also placed frozen chicken breasts in the Instant Pot, along with the other ingredients (minus butter), and cooked for 16 minutes. I cube the chicken after it’s cooked and continue with the recipe. 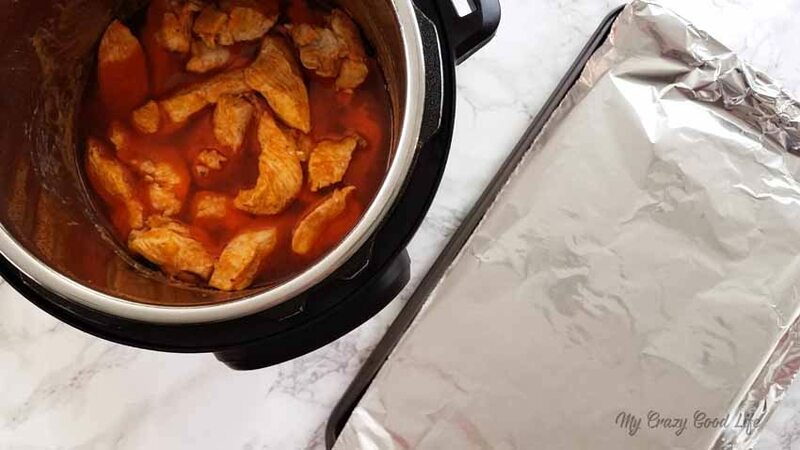 Using tongs, remove the chicken from the Instant Pot and place on a baking sheet lined with aluminum foil. Brush the chicken with the additional 1/4 cup hot sauce. Thicken the sauce by placing under the broiler for 3 minutes. Turn the chicken over and repeat on the other side. Let the chicken cool 5 minutes before serving. Goat cheese is tastes amazing spread on top.